A touchscreen iMac definitely makes sense when Lenovo, HP and the like are doing similar all-in-one touchscreens, so it's of note that Apple's re-filed a patent for the "shape detecting input device." 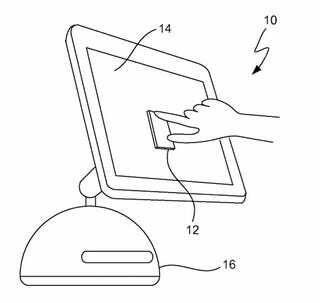 Last month the patent, originally filed in 2004, was brought to our attention, where a sort of soft key could be held up to the screen of an iMac—a touchscreen one—and used to turn it on and off. The fact that Apple re-filed the patent again at the end of 2009 suggests it's something they'd like to explore—however daft it may be. It could be put to better use with other recognizable objects such as a credit card or mobile phone, like the Microsoft Surface does.